Home > Contents > How does the Forum function work? Q.How does the Forum function work? The Forum function allows you to create a place for your customers to have free discussions about the contents of your website. This can be useful if the goods you sell have any sort of community aspect (such as trading cards) or would benefit from tips and tricks provided by other users (such as crafting patterns). 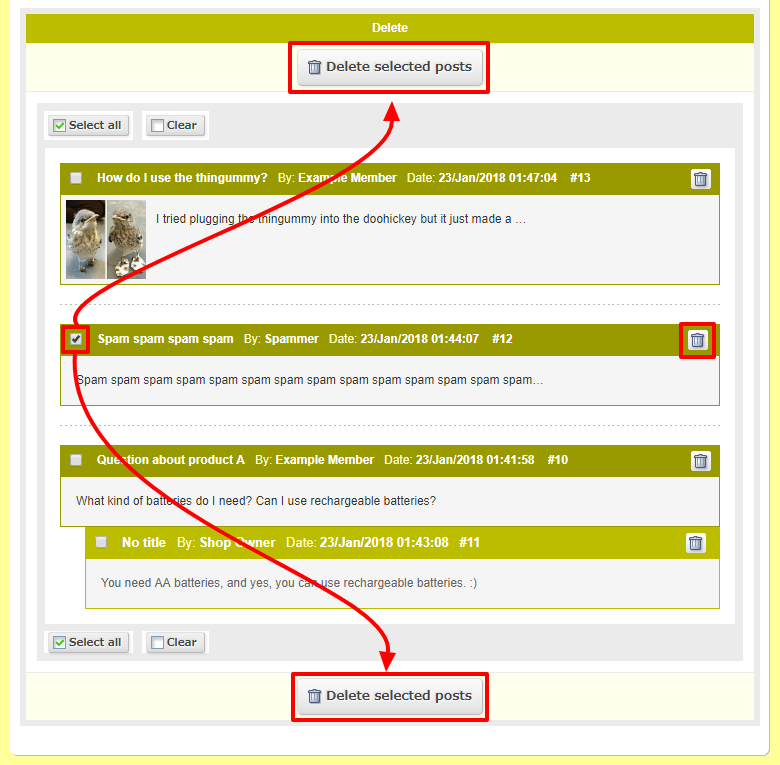 The forum can also be used as a tool for customer service if you answer forum posts directly. Select these options as you desire. We strongly recommend enabling at least one of the options in the Spam countermeasures field. You can also delete posts from the same page. Click the (Delete) button for each post you wish to delete, or select the posts you wish to delete and click the (Delete selected posts) button.